According to Evan Sims, vitamin K2 is the answer. So who is Sims, other than a passionate dietary non-conformist? And why is he so concerned about this particular nutrient? Evan Sims is the brains behind the new San Francisco upstart Peak Yogurt, a triple-fat (you read that right), no-sugar-added, organic, grassfed yogurt that’s just launched an Indiegogo funding campaign to bring it to market. The only “triple” anything currently on yogurt shelves is Dannon’s Oikos Triple Zero, a nonfat Greek yogurt and one far more mainstream given traditional (though shifting) American views on fat. It would be a mistake to write Sims off as just another entrepreneur looking to shake up this country’s $8-$9 billion yogurt industry. His bona fides include 4-1/2 years working as a fermentation engineer at Genencor/Danisco, part of what is now DuPont Industrial Biosciences, though he was not involved in the dairy culturing arm of that business. Even so, he says: “The engineering principles and knowledge of clean, sterile processes” he picked up in that position served him well once he started making yogurt. “It was easy for me to pick up the skills I needed,” skills he’d developed more casually throughout his life as an avid home cook comfortable in the kitchen. With a dual bachelor’s degree in chemical engineering and biochemistry from the University of Colorado Boulder, Sims’ motivations for creating what he considers a superior, better tasting, more healthful yogurt exceptionally high in saturated dairy fat are personal. The more interested he became in the science behind nutrition and the messaging of the anti-saturated fat movement, the more Sims began to question conventional interpretations of research studies from the 1960s, 70s, and 80s. “I spent a lot of time reading clinical trials and observational studies, and I firmly believe that the crusade against saturated fat and cholesterol is based on bad science. It’s convenient to say that new science is revealing these fats to be safe,” Sims says, “but the federal government spent hundreds of millions of dollars attempting to incriminate these fats.” Sims believes the media spin interpreting these older studies is at odds with what the studies actually showed. Whether or not you agree with Sims’ view on the healthfulness of a diet high in dairy fat, there’s no denying that a yogurt based on one part heavy cream and three parts whole milk delivers a rich experience for those willing and able to put fat-phobia aside. 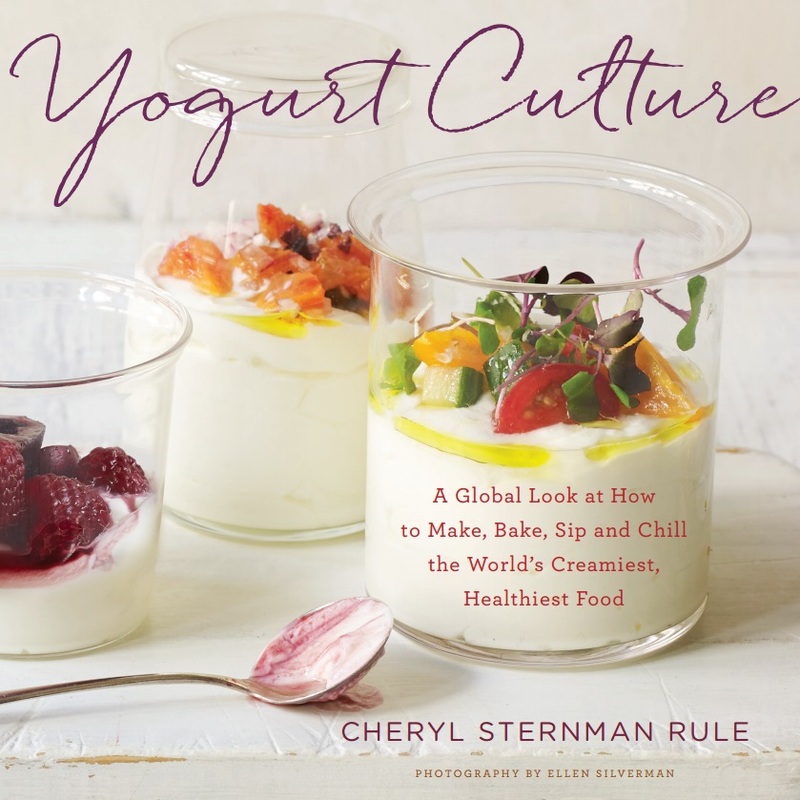 Peak Yogurt, if funded, will create two varieties: a traditional, unstrained yogurt with 12 percent fat, and a Greek-style, strained yogurt with a whopping 18 percent fat. The Greek is so thick a drip stays in place; it even stays on the spoon when you turn it upside down. Sims currently makes his test yogurts in his San Francisco apartment, but if Peak Yogurt meets its $25K funding goal, he’ll run his scale-up efforts first at the University of Wisconsin Madison (“you need to optimize parameters without spending a ton”) and then move operations closer to home, creating two 500-gallon batches at the existing Pavel’s Yogurt facility in San Leandro, California. This initial 1000-gallon quantity would allow him to bring the product to market in the San Francisco area, where he’s already secured a commitment from local favorite Bi-Rite Markets. 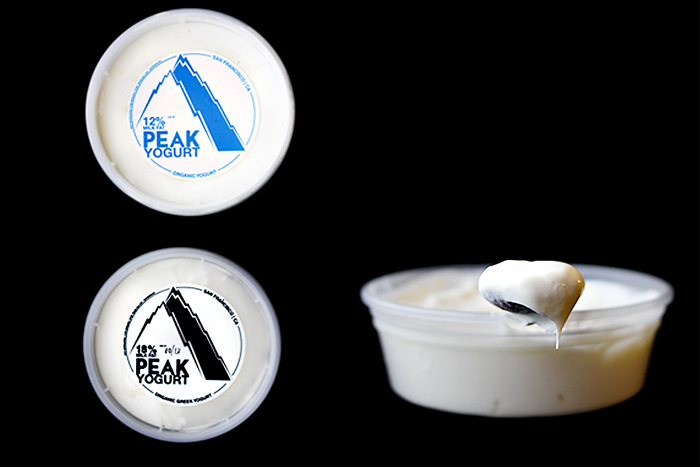 Several other markets have indicated preliminary interest in carrying Peak Yogurt as well. Prepare for another dairy-aisle shake-up, yogurt-lovers. Want to read our other Maker Profiles? We've interviewed Siggi Hilmarsson of Siggi's Dairy, Koel Thomae of Noosa Finest Yoghurt, Ron Marks of AtlantaFresh Artisan Creamery, Angela Fout of Sohha Savory Yogurt, Lynn Swanson of Glendale Shepherd, and Homa Dashtaki of White Moustache Yogurt.